Yes... I am a guy that enjoys Romantic Comedies. We do exist. And while I may not have anyone special in my life to share the time with... I do still like to celebrate Valentines with a month long movie marathon. And pretty much need the entire month to watch any decent amount. As I have so many in my collection... even with the entire month I couldn't even watch half of what I own. When I filter on Romance and Comedy in DVD Profiler I get almost 200 results. Many of which I never seen before. So granted I am only going by what others put in the genre field. Here is my collection of Romantic Comedies according to Profiler... ones I put in bold are ones I never seen before. Is there any in your opinion I need to watch? Or any on the list that are not really Romantic Comedies? While in the list... I don't see myself watching the Christmas related ones as it is not too far past Christmas yet and sick of the holiday. Well, I just rewatched Love Actually and it's one that I really like. But you haven't watched When Harry Met Sally? That's a classic! I caught bits and pieces of When Harry Met Sally.... but never actually seen it all the way through. What’s the secret to a successful marriage? According to Colorado’s leading marriage counselor Annie Morgan (Candace Cameron Bure, Full House, Make It or Break It), honesty and love are the keys to successful long-term relationships. Ironically, Annie has never been married and doesn’t always follow her own advice. When an opportunity arises to discuss hosting a relationship talk show with media mogul Alexander Bishop (Ronny Cox, St. Elsewhere, Beverly Hills Cop), Annie jumps at the chance. Through a misunderstanding, she receives an invitation for her and her spouse to join Bishop at his New Mexico ranch. Fearful that being single will ruin her big chance, Annie conspires with Mark Crane (David James Elliott, JAG), an old college friend who is a retired professional football player and recent widower, to pose as a married couple with teenage kids for the weekend. A series of comical misunderstandings mark the weekend, leaving Annie emotionally involved with Mark and his two teenagers and battling with her own conscience. 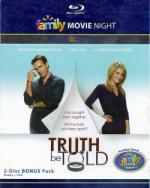 Will she confess the truth about her marital status or the feelings she’s developing for Mark? Telling the truth may have its consequences, but ultimately it’s what opens our hearts and brings out the best in each other. I enjoyed this one. Sure... like most Rom-Coms it is a predictable film. My thoughts on that is that it is not about the outcome... it is about the journey. This film has the added bonus that I am already a fan of the two main characters. Recommended. This one here is a different kind of romantic comedy as it deals with 2 women falling in love. One knowing she liked girls.... the other one not as they met at her wedding. It is an enjoyable story with a good cast. Definitely one I would recommend. This is a film that I have always enjoyed... and one I have watched multiple times. It has a good story and I really enjoy the cast. 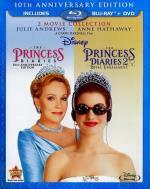 This film is what made me a fan of Ann Hathaway. As much as I enjoyed the first one... this is the first time I have seen the sequel. While not as good as the original...I still enjoyed this one quite a bit. I especially liked the way it ended. Comedic geniuses Tina Fey (30 Rock, Saturday Night Live) and Amy Poehler (Saturday Night Live) team up to celebrate a modern twist on motherhood! 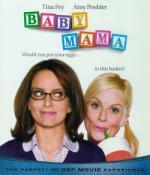 Kate (Fey) is a single, successful career woman who wants something more: a baby. But she gets more than she bargained for when she hires Angie (Poehler), a free spirit from South Philly, to be her surrogate in a hysterical mama match-up. From birth class to baby-proofing, they're the ultimate odd couple that critics are calling "the best female comedy duo since Lucy and Ethel" (Claudia Puig, USA Today). With hilarious performances from an all-star cast featuring Greg Kinnear, Dax Shepard, and Sigourney Weaver, Baby Mama is as full of laughs as it is heart! I found this one to be a ok... but not what I would call a great comedy. It has some funny moments in it... but for the most part I just found the characters weird and the story line predictable. Everyone's invited to Our Family Wedding, the hilarious and heartwarming comedy with an all-star cast, including ACADEMY AWARD® Winner Forrest Whitaker* and stand-up superstar Carlos Mencia. When college students Marcus and Lucia (Lance Gross and Ugly Betty's America Ferrera) make a surprise engagement announcement, their feuding fathers (Whitaker and Mencia) threaten to turn a dream wedding into a battle royal. Throw in eccentric relatives and clashing cultures, and you've got a recipe for laugh-out-loud lunacy — it's an event you can't miss! A fun and entertaining film. Entire cast did a fine job. Even if it is very predictable... I found it to be worth the time put in to watch it. Recommended. Orlando Bloom stars as Drew Baylor, a hot-shot designer whose life becomes completely unraveled when he loses his father and his job on one fateful day. 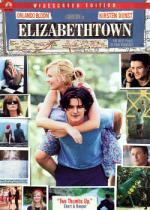 En route to Elizabethtown to visit his family, Drew meets Claire (Kirsten Dunst). She's beautiful, unstoppably positive, and just the gal to guide Drew on his journey back home and to teach him what it means to live and love along the way. I found this one to be an entertaining film. Though I did find the humor in it a little dry for my taste. But all the same it has an interesting story. Living here in Kentucky... not far from E-Town it was also fun to see some familiar places and landmarks. And I must say...in this case I think I liked how the movie ended even more so then the entire movie itself. Worth checking out if you never seen it. Oscar® Nominee Johnny Depp*, Mary Stuart Masterson (TV's Law & Order SVU) and Aidan Quinn (Practical Magic) star in this hilarious, quirky comedy. Wildly eccentric Joon (Masterson) can be very charming — especially when she takes her medicine. 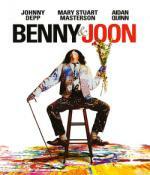 Long under the thumb of her overprotective brother, Benny (Quinn), Joon craves her independence. During an unusual poker game, Joon loses her hand — but wins Sam (Depp), a whimsical misfit who soon charms his way into her heart. Now if they can only find a romantic interest for her brother, love just might stand a chance in this charming, delightful film that also features Oliver Platt (Frost/Nixon) and Academy Award® Nominee Julianne Moore**. *2007, Actor, Sweeney Todd: The Demon Barber of Fleet Street; 2004 Actor, Finding Neverland; 2003, Actor, Pirates of the Carribean: The Curse of the Black Pearl. **2002, Actress, Far From Heaven; 2002, Supporting Actress, The Hours; 1999, Actress, The End of the Affair; 1997, Supporting Actress, Boogie Nights. This is one I have seen multiple times... and always enjoyed. It is a different type of Rom-Com in more then one way. First of all it deals with an unconventional couple. Plus it keeps your interest in more then one couple. And I must admit... I love the old silent era comedy skits that Johnny Depp's character was performing through-out the film. This is one I would easily recommend.